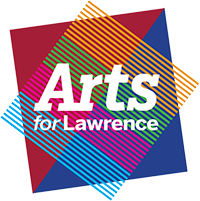 Come join Arts for Lawrence's Artist-in-Residence Gary Schmitt every 3rd Thursday of the month for a wool felting workshop. You will get hands-on training and make a felted item to take home with you. **Please note April's date has changed to the 8th**. The workshop includes all materials, light refreshments, and instruction by the wool artist. April's theme TBA. The price for the workshop is $35 per person, and only $15 for each additional family member you register. Space is limited, but walk-ins are welcome!